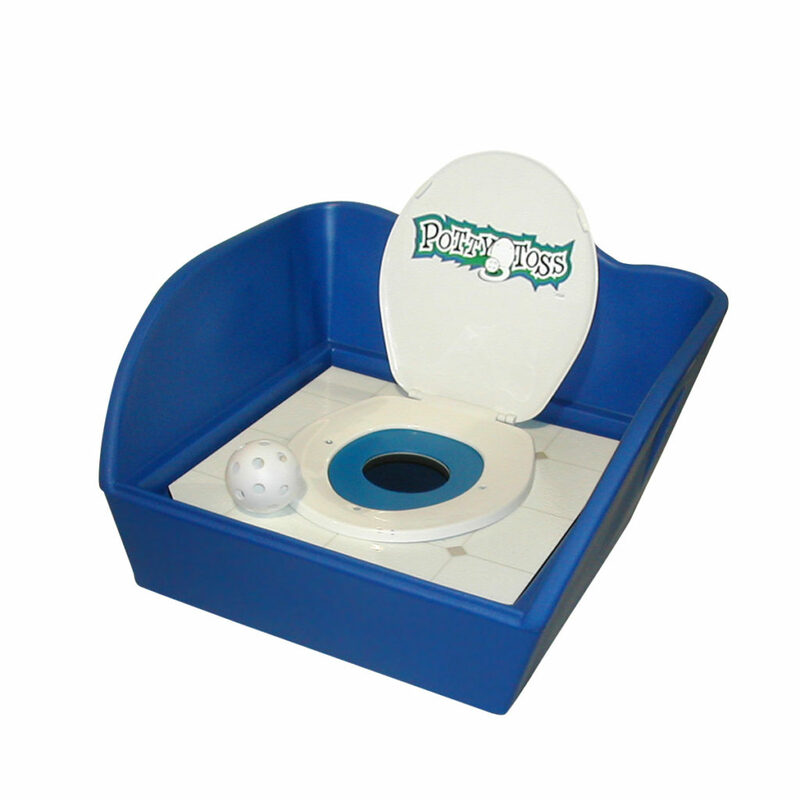 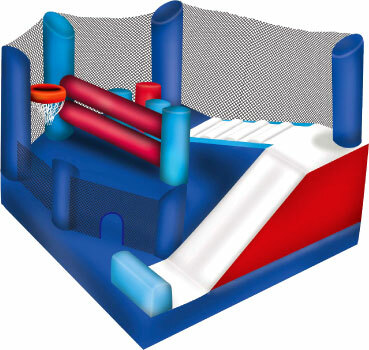 ENTER this 5-in-1 Combo and you are greeted by the bouncing area with log and pillar obstacles the children can tackle and crawl under. 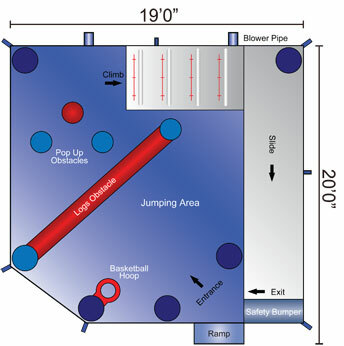 Towards the back is the climbing wall and basketball hoop. 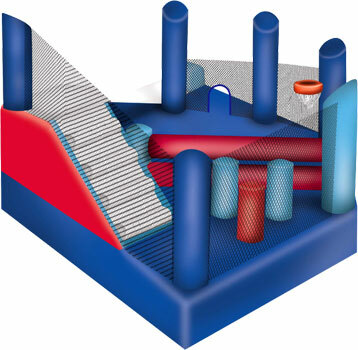 The climbing wall takes riders up 6 feet to the slide which features a safety bumper at the base. 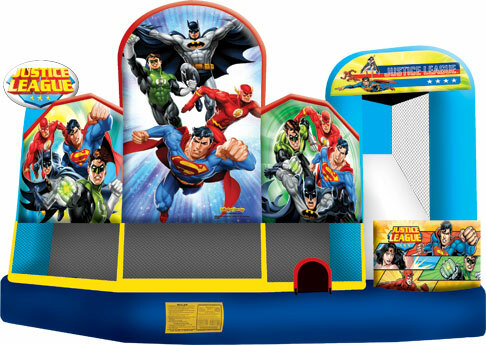 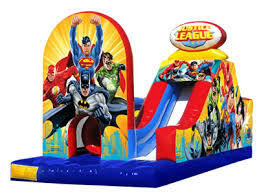 Decorated in the Super Hero themed colours and covered in the favourite characters from the franchise, children will be excited as they approach and see this featured loaded bouncer. 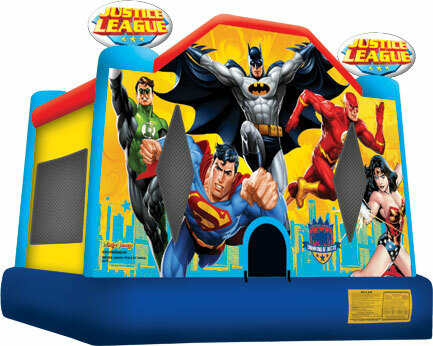 The Super Hero 5-in-1 Combo Bouncer is perfect for backyard birthday parties. 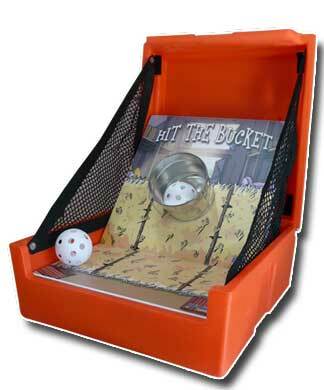 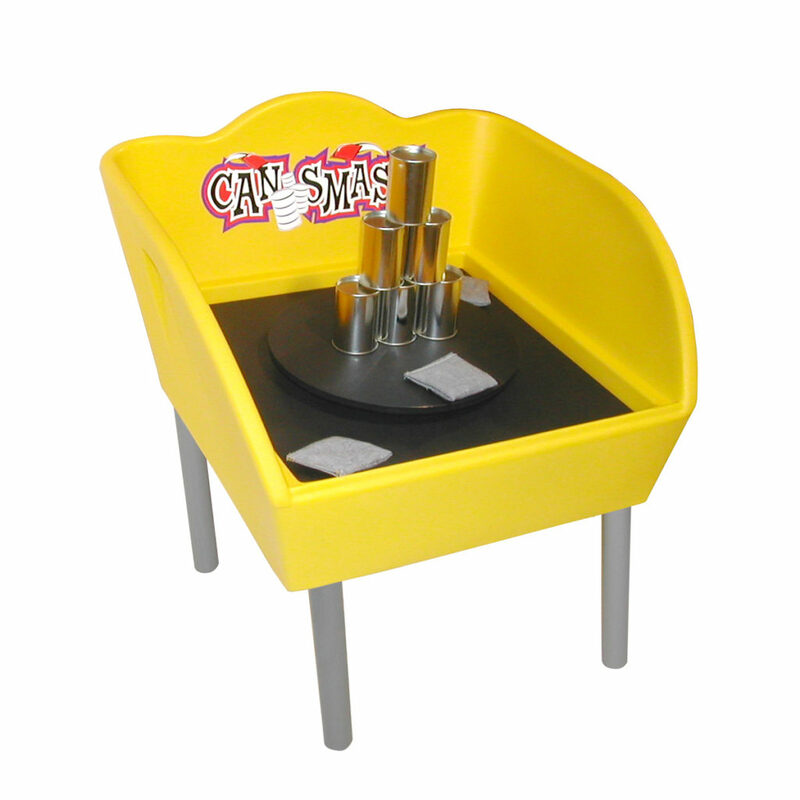 SPECIAL: rent 2 Carnival Games and get the 3rd one FREE!